« Would you leave your kids with BETO! Alexandra Ocasio-Cortez is exposing just what happens when we sit by and don’t vote, when we sit by and watch our parties primary happen without even thinking of casting a vote. Too bad for AOC. The more people see of her, the more people DISLIKE her. Ret. Major General Paul Vallely helps pull back the curtain a bit on just how countries like China are able to exploit technology to spy on and steal from the Unite States and other countries. 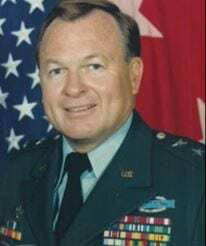 Gen. Vallely goes in on just what the Mueller Probe means to other nations’ leaders across the planet. What does China, Iran and North Korea think seeing our nation’s own government turn on our president?